The Brotherhood is a superb police-procedural with a difference, set in Hobart, Tasmania. The Brotherhood in question is the police force: a group of men and women who have a bond in some senses stronger than family, but with as many underlying dark secrets. The prologue takes place at 11.30 p.m., in which a Detective Inspector is going through the possessions of a dead colleague. What he finds makes him despair, but the reader does not know why. After this hook, the novel shifts in time to 8 a.m. that day, when the police are informed of a break-in at a house in the suburbs. The rest of the novel takes place over the course of that long day, ending where it began. Each of the next ten chapters is told from the point of view of a different person as the day pans out: a young probationary police officer, the police commissioner, a journalist, a wife, an ex-girlfriend, a suspect and so on. I wondered if this approach might make the narrative rather disjointed, but far from it, it’s a fascinating 360 degree account of a crime, providing a full emotional effect as the victim’s life is gradually fleshed out by seeing him as he was perceived by a variety of people. At the same time, the aftermath of the crime, in particular the criminal justice system, are seen with all their flaws – both structurally and via the people supposedly working for good. As one reads on, the book becomes gradually darker. At first, one sees the corruption at the top in the police force and its interface with the state’s government. Later, the author provides an unvarnished account of the Aboriginal population of the state: how the laws are organised to protect them and how people use these (as well as manipulating their own ethnic identity) to their own advantage. As if this were not cynical enough, at its core the book is about rotten corruption at the heart of the “brotherhood” itself – by the end of the novel, there are very few at any level of the police force who are not tainted by it in some way. I very much enjoyed this fast-paced, muscular novel, as intense as it is dark. It tells of a tragedy in the best way: by letting the reader make up her own mind as all the evidence gradually emerges. 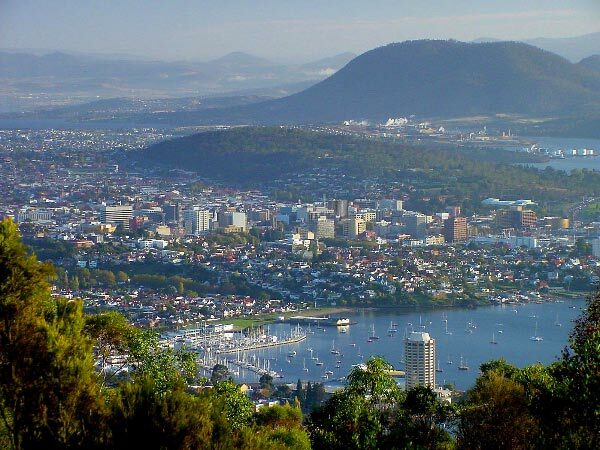 It uncovers a Tasmania that is as crime-ridden, corrupt, racist, cynical and devious as the regions of the world more familiar to crime readers. And there is a nasty twist to the tale. A great debut novel by former police officer Yvette Erskine: I am already looking forward to her next. I purchased this book. Although it is as yet published only in Australia, it is available on UK and US Amazon. It isn’t a cheap book but worth every penny or cent. I thank Bernadette for making this one of her two books of 2011 and hence a must-read for me. Her review of the book is at Fair Dinkum Crime. Other (glowing!) reviews of The Brotherhood: AustCrime, Sisters in Crime Australia, Mysteries in Paradise. Author’s blog post on writing The Brotherhood. See more in an interview at Booktopia. ABC radio interview with the author. Very good review. Have this book high up on my TBR pile, and look forward to reading it. Maxine you did an excellent job here. I’m convinced now I have to include it in my wishlist. I’m so glad it was worth the money – I am always wary of recommending books that are impossible to get outside these shores…it does paint a particularly harsh picture of Tasmania now that you make me think about it, which is at odds with the regular image of the island which is promoted as a tourist haven, very focused on green energy and environmental issues – parts of it are spectacularly beautiful but other parts are pretty rough, generally with higher unemployment than the rest of Oz and some of the other problems of a relatively small island community. Yvette Erskine has a second book (THE BETRAYAL) coming out in May which is also (I’m led to believe) when this one will be published in the UK. Thanks for the comments everyone. Bernadette, I’ll definitely be reading her second – thanks for recommending this one! Yes, it worked very well, here, Margot, I thought. I think all of the reviews I’ve read about this book have been universally good and I’m glad to see that you enjoyed this too. I’ll wait until it is published in print (hopefully in the not too distant future) to read it. I’m going to keep my eye out for the US release date for this one.